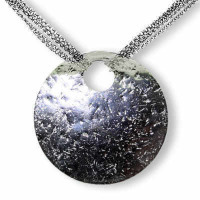 Glisten and sparkle with this stunning handmade contemporary sterling silver necklace. 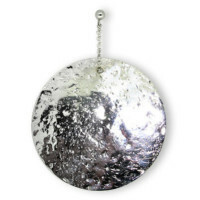 This glitter ball necklace consists of seven hand hammered silver discs that range in size from 15mm to 40mm. 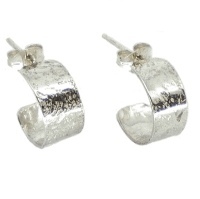 The use of multiple discs makes this piece very interesting and easy to wear. Designer Jewellery by Nikki Galloway, handmade in our Surrey studio, London.